Megan Eckman runs a creative business, Studio MME, selling her illustrations as embroidery patterns, kits, and other crafty creations. We discuss the huge growth that happened in her business when she started selling embroidery kits – an unplanned direction for her creative work. Like me, she’s now at the point where she not only runs her business full-time, she also employs her partner! We talk a lot about the tension between what we want to make, and what our customers actually buy. I call it the ‘sweet spot’. Finding it – and accepting it – can be a real struggle for artists and makers. We also discuss the benefits she sees in outsourcing some aspects of her business as well as the dreams she has for the future of Studio MME. If you would like to hear an inspiring story of hard work and dedication leading to business success, don’t miss this one! Megan Eckman runs Studio MME, is an artist and makes embroidery kits. Megan got to the stage where she wasn’t having fun with her art any more. One of her biggest challenges was the tension between making what she wanted to make and making what people want her to make. 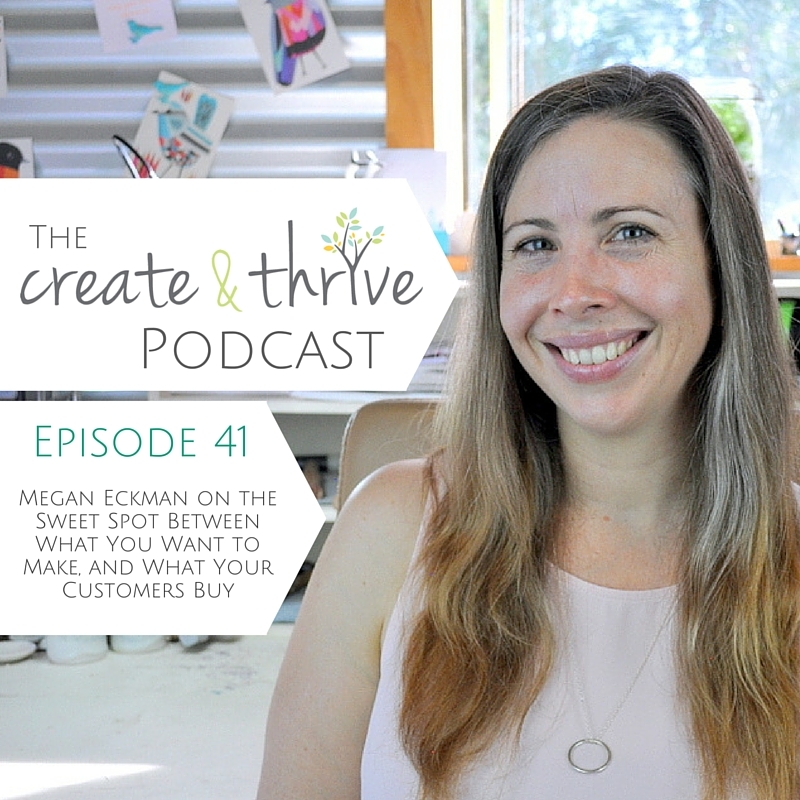 Last year Megan built her business to the point she was able to hire her partner. She now runs her business full time, and last year for the first time ever she reached her financial goal. Megan has a five year plan for her business which includes outsourcing many different aspects of the day-to-day running of it. She now schedules creative time for the time of day that she is most productive. Email marketing is a very cost effective form of advertising. You can find Megan at her website or Instagram.